ADVANCE REGISTRATION REQUIRED. Registration deadline is February 18th at 4pm. 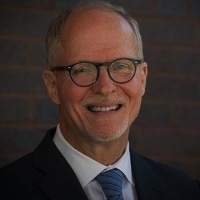 Join Paul Vallas, Mayoral Candidate and previously Chicago Budget Director and Director of Public Schools. For the last three decades, Paul Vallas has been one of America’s leading education reformers and crisis managers. A Greek-American who grew up working in his family’s restaurant, Paul is a former teacher and 10-year staff member of the Illinois State Legislature. In 1990, Chicago Mayor Richard M. Daley recruited Paul to the position of Director of the Department of Revenue where Paul reformed the scandal-ridden Department and revamped the city’s tax and fee systems. When promoted to Budget Director, Paul ended the city's recurring budget crisis while simultaneously putting an additional 1,500 police officers on the streets. He financed one of the largest infrastructure investment programs in Chicago’s history. In 1995, Mayor Daley appointed Paul to run the financially bankrupt and academically failing Chicago Public Schools (CPS) where he closed a projected five-year $1.3 billion budget deficit, balanced six consecutive budgets, instituted a massive school construction and renovation plan, and established education program reforms that improved test scores each year. Paul went on to run school systems in Philadelphia and post-Katrina New Orleans and spearheaded emergency efforts to rebuild schools in Haiti and Chile following devastating earthquakes. Most recently, Paul directed a team of experts to revamp adult education and occupational training in the Federal Bureau of Prisons.